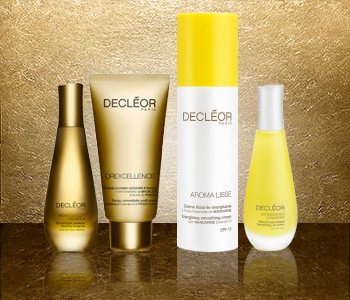 Whatever your age, refine your skin’s texture with luxurious anti-ageing care from Decléor. From the 1st signs of aging to advanced skin tightening, the Decléor anti-ageing collection is set to restore the look of a youthful appearance with the power of aromatherapy and phytotherapy. Complete with everyday essential skincare and revitalizing face oils, all concerns of the maturing process can be addressed and diminished with the Decléor Anti-Ageing skincare ranges.